The AVA dataset densely annotates 80 atomic visual actions localized in space and time resulting in 210k action labels with multiple labels per human appearing frequently. the use of diverse, realistic video material (movies). 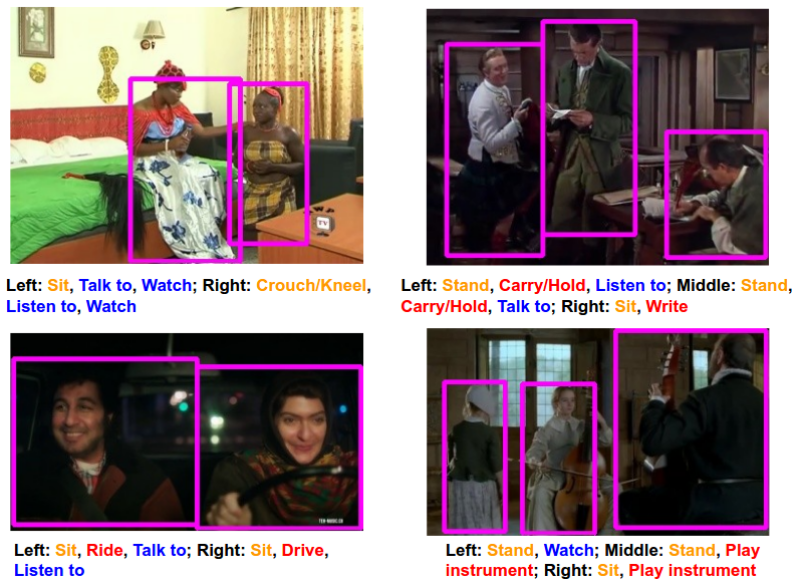 Below are some example frames taken from the dataset.